pennine: I still find it unbelievable a building the size of & containing the amount of people as Grenfell Tower,only had one stairway. In a day & age where we’ve had some strict EU Health& Safety lawsto adhere to,(some of which make little or no sense)we seem to be regressing on somethings.One example , years ago most public buildings such as hotels,hospitals had outside fire-escapes.I recall using these in hotels &a hospital myself where i had live-in & work jobs & on returning back after a night out when the main doors were locked. Another thing is the fire service hoses don’t stretch to the top of the building, so the question here ought be “why have buildings that are higher than where the hoses can get to.” Another refers to questioning the cladding surrounding the walls, how rigorous were test done(IF at all?) on the material for fire-safety & testing for toxicity? So very much needs to be asked,& much of it based upon basic common sense.This must never be allowed to happen again. Cyanide gas released by burning insulation on Grenfell Tower could have contributed to the deaths of some of the 79 victims, it has emerged. Boards fitted during a refurbishment of the 24-storey block might have filled homes with the highly toxic substance when they caught fire, an expert has disclosed. They could have produced enough deadly hydrogen cyanide to fill every flat at the west London high-rise, it has been reported. Manufacturer Celotex confirmed that the insulation would have released “toxic gases” if it caught fire. The gas could have incapacitated some residents, but it might be impossible to establish its role in the cause of deaths due to the condition of the victims. King’s College Hospital confirmed to Sky News that three of its 12 Grenfell patients were treated with Cyanokit, the hydrogen cyanide antidote. 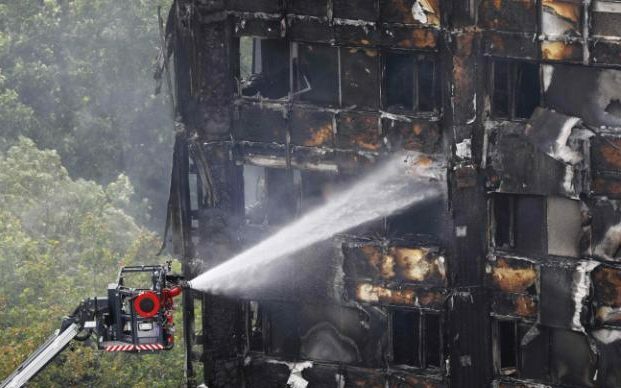 The insulation boards were fitted against the exterior wall of Grenfell Tower behind the cladding that was designed to improve the building’s appearance and which has been blamed for speeding up the spread of the blaze. It was made of Polyisocyanurate (PIR), which is rigid plastic foam, between two sheets of aluminium foil. The PIR itself is flammable, but the aluminium foil is designed to prevent it catching fire. 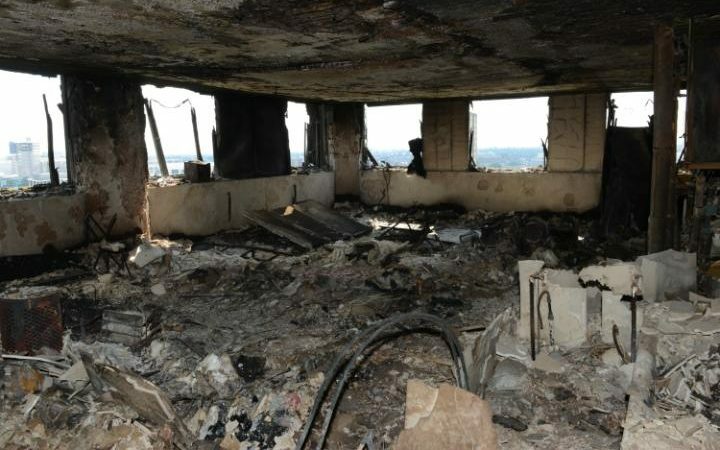 “The materials used to refurbish the Grenfell Tower in 2016 made a major contribution to the rapid spread of the fire and the toxicity of its smoke,” said Prof Richard Hull, Professor of Chemistry and Fire Science at the University of Central Lancashire. “The combination of the cladding, air gap and the polyisocyanurate (PIR) foam acts like a chimney, spreading the fire across the outside of the building by igniting the cladding and foam. “When ignited, the PIR foam insulation gives off toxic gases, including hydrogen cyanide and carbon monoxide, which cause rapid incapacitation when inhaled, preventing escape. “Many people in the tower will have had their windows open due to the hot weather last Tuesday night, so it is likely that a significant number of victims will have collapsed soon after exposure to the smoke. “It’s widely known that the inhalation of toxic gas within smoke accounts for most deaths and injuries within fire, and yet fire toxicity in construction materials is completely under-regulated. Meanwhile, it has been reported that renovation works at Grenfell were inspected 16 times by Kensington and Chelsea council. Inspections were spread over almost two years during the £10 million project between 2014 and 2016, according to The Guardian. The claim comes as the chief executive of Kensington and Chelsea council was forced to quit after a barrage of criticism for its response to the tragedy. Nicholas Holgate said the Communities and Local Government Secretary had “required the leader of the council to seek my resignation” on Tuesday. He added in a statement that he would have been a “distraction” if he had stayed in his post after the “heart-breaking tragedy”. Council leader Nicholas Paget-Brown said he accepted the resignation “with great regret” and added that “the council will now need to work in a new way with different partners to take this forward”. There has been an outpouring of anger over the official response to the deadly blaze from survivors and victims’ families. Theresa May has apologised for the failures by local and national government in reacting to the tragedy and will address the Commons on Thursday. Inquests were on Wednesday opened and adjourned at Westminster Coroner’s Court into the deaths of five victims, with a married couple officially named as among the dead. Omar Belkadi, 32, died from inhaling fire fumes, while his wife, Farah Hamdan, 31, was killed by smoke inhalation. 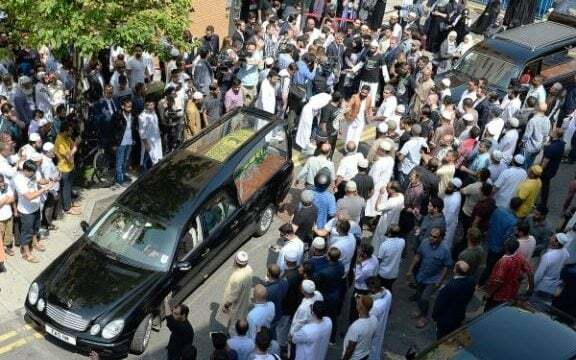 Earlier on Wednesday, a funeral for 23-year-old Syrian refugee Mohammad Alhajali, the first victim to be identified, was attended by his family and London mayor Sadiq Khan. It was also announced that 68 flats around 1.5 miles from Grenfell tower in the borough of Kensington and Chelsea had been purchased by the City of London Corporation in a deal brokered by the Homes and Communities Agency. An independent public advocate to help bereaved families after major disasters was announced in the Queen’s Speech the same day. 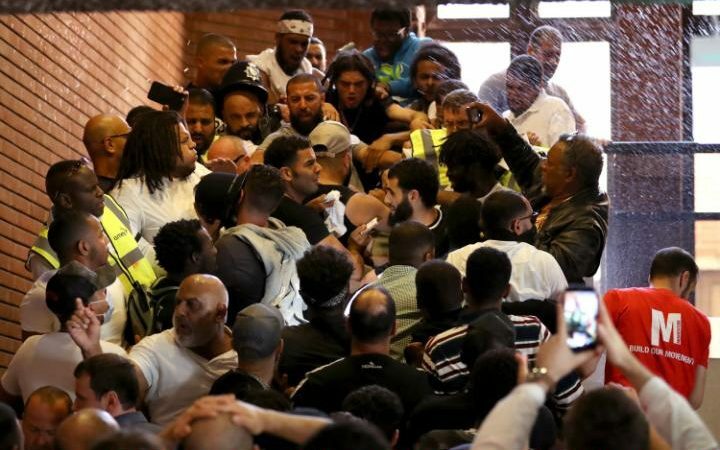 The Grenfell Tower Response Team said 249 households are in emergency accommodation in hotels and £675,000 has been handed out to families affected by the disaster.